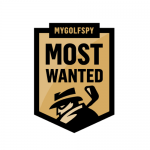 Episode 3 of #MostWantedMondays - Look beyond the Number 1 driver on the market to find the best driver for your game. Distance claims are everywhere, but the fact is that there’s no single driver that’s best for every golfer. What years of driver testing has taught us, however, is that for nearly every golfer, there is one driver that will outperform the rest. Often what’s best for you (or any other golfer) isn’t the best selling driver on the market or even The #1 Driver in Golf™. In Episode 3 of Most Wanted Monday’s, our test team shows how, for one golfer, the often-overlooked Mizuno GT180 offers big distance gains over Callaway’s Rogue Sub Zero. I’m 62 y/o, 15hcp, & have made many driver purchases in my life. My favorite most memorable driver was the Mizuno MP-001 440cc. The ratings were ‘zilch’ especially for my hcp. Glad to see them recognized. Does this apply to fairway woods and irons as well? When will the most wanted driver test be released? It’s Friday, where are the Most Wanted Driver results? Wednesday is waay past due! Great content Sam & MGS…love the video format. I agree 100 percent that not one driver will be a good fit for everyone. Love these most wanted testing!! Today is already Wednesday. Where is the Most Wanted driver result? Cannot wait. If you haven’t yet read anything written by Tom Wishon, you might take a peek. Mr. Wishon is a club maker who advocates getting custom fit for clubs. Mr. Wishon suggests that a good club fitter might be able to tweak as many as 40 elements of a club so that it might optimally fit you. Thus, from Mr. Wishon’s point of view, it is not a surprise that there will not be a single best club solution for everyone. That fits my experience after trying out a great many used drivers. Many so-called “hot” drivers of the past just did not work for me. A couple did – those are still among my current “gamers”. Yes, there may be a driver that rises to the top when averaged across users. However, that does NOT mean that best-performing driver will be best for YOU. You may need to do some work (try out different clubs, or get fit by a highly trained fitter) to find one that does. Great video/club test. The biggest and best touted (marketed) may not be the best for everyone. While I love the simulator testing, I had more fun last week testing my Jetspeed (with R shaft) against my newly acquired Mizuno JPX-ez (with an X shaft) on the golf course. The conditions were perfect for testing carry since every drive plugged in the soft fairway. I was the only person on the back 9 since it was walking only so I could hit as many shots as I wanted. Amazingly (because my swing speed is 90-93) the X shafted Mizuno hit the ball an average of 5-7 yards further with less dispersion. Probably because of launch and spin. Will head to the test bay soon to find out. I bought the Mizuno JPX 900 last yeah on impulse. It came with the Speeder 661 Stiff Flex Shaft and was hands down the longest and most consistent driver for me. Late in the fall I tried the Epic with Fujikura Pro 62. Mostly because the price was right and I’d heard so many great things about it. Played the Epic about a half dozen times at same course I always play. Mizuno was a better fit for me. I quickly dumped the Epic and late last week ordered the GT180. It’s yet to arrive. I think folks might benefit from at least trying a driver that most wouldn’t ever look at. Lots of folks rave over Calloway. I personally hated that club. My two top performers were 917D & G400 LST. Settled for G400 because of the look @ address, shape of the head and sound/feel. The recent USGA distance study shows that driver and ball improvements have benefited mainly those with high swing speeds, but base recreational golfers have hovered around 200 yards off the tee for decades. Show me the driver that gets 220 yards out of an 88-92 mph swing speed. I’ve never bagged a Mizuno driver however this year might be my first! First of all I’m a huge fan of the color blue and if the performance matches the color it’s on like donkey kong! so the big question ! what driver does Harry have in his bag ??? Jeeeezz you okes just attack attack attack MGS has always been as neutral as it gets and if the synergy between head and shaft from the manufacturer just happens to work better than the opposition so be it! They did their homework better and were possibly prepared to pay more to the shaft supplier for a quality made for shaft! !90 percent of golfers don’t want to have to bugger around sourcing different shafts when they just paid big dollars for a complete club.The test is totally valid-Mizuno always make really high quality irons and clearly they have now made a really good driver.With a decent shaft. Good for them stop whingeing and buy the thing or stick to your current offering if it works for you. So. This “#1 driver” thing. I saw ads watching the Valspar yesterday where Callaway AND Taylormade both advertised the “#1 driver in golf” banner. You are correct. Each company uses a different metric. Typically, Callaway makes its claim based on US dollar share (combined on/off course). Basically, Callaway says it’s number 1 because sales of its drivers generate the most money in the driver category. TaylorMade stakes its claim to number 1 based on tour usage, which is largely reflective of the number of professionals it pays to play its products (though some use is non-contractual, some perhaps even without compensation, but the majority is paid). In 2016, when it became apparent that TaylorMade would lose any claim to number 1 related to actual sales, the company went so far as to file a trademark for “#1 Driver in Golf” to ensure it could continue to use the phrase even in the event that it lost any legitimate claim to the title. Thanks for the detailed reply. Makes total sense. From a consumer standpoint, it shouldn’t happen. Where do you draw the line between advertising and integrity? Based off what you said, Callaway has the right to say that. #1 driver in golf shouldn’t be a general statement. #1 driver on tour should be an advertisement all on its own. And this is why I can’t stand TM. You’ve got all the data. Be “data-centric” and tell the whole story. Tests such as these have little validity imo unless both clubs use identical shafts. It is the shaft that determines the result of these type of comparisons. Excellent video. A suggestion: along with the 100MPH+ Harry Nodwell, stiff shaft tester we saw today, how about adding a tester that max’s out driver speed at ~82MPH, a low single digit handicapper (regular shaft that plays forward tees) to your project test videos? A slower MPH tester will show a lot less spin, lower peak heights and roll out that are consistent with the majority of slow swing players, and I suspect, much different results as to which really is the best club for each swing speed. It would be wonderful compliment for all upcoming driver, wood, Hybrid and iron tests. I’m calling it now, Mizuno is going to rock the most wanted list!! If only that were the case, it’s the golfer that would hit it over 300 yards, not the club. If you’re looking for lots of added distance a golf instructor or perhaps gym membership would be the best coin spent. Well presented and this is what every golfer needs to do. Try several drivers with different shafts, as recommended by the fitter, and see what works best. Launch monitors don’t lie. One club does not fit all. Great video guys and thanks for adding it to the platform. It is far more interesting than trying to simply read through stats. Have you considered offering fittings for members? Maybe something like a bag analysis to fine tune the gaps? No surprise, really. Callaway spends more $$ on marketing, and people can be suckers for hype, so it shouldn’t be all that shocking that the Mizzy out-performs the Callaway. Having recently hit both company’s top-end irons (X Forged vs. MP18), I’d take the Mizzies, hands down. Very good video and I think every golfer no matter what your handicap is should get fitted to the correct driver for YOUR game! I was due for a new driver this year and went to get fitted. Of course one of the drivers was the Rogue Sub-Zero. But when I left the shop, it was with a completely different product, TM M2 D-Type! This is spot on being a lefty my fitter did not have LH rogue sub zero in stock yet. However, everybody I play with has been telling me how good jailbreak is etc etc. so I order from Callaway with the upgraded oban white shaft that exist today on my ping g400 well the sad thing is I wasted $1k us on this club. My G400 carries 30 yards further produces much more ball speed and strangely enough allows for a 9mph increase in club head speed. (I own a launch monitor) I had same situation both indoor and outdoors on the course. I do plan on bringing club to fitter to see if it is a shaft change needed but like I said same shaft in my g400 so I have no idea why I see such bad results on the rogue sub zero I believe it may be spin rate as the sub zero spins around 2000 for me versus 2400on my g400 LST I am also a decent player carry a single digit index was plus not that long ago. One thing that can be said if you are a high spin player (I usually am) the Callaway sub zero definitely lives up to its billing in this regard. When compared to the ping low spin driver with OBANS lowest spinning shaft the Callaway shows very low spin rates (clearly too low for me). I expect a higher spinning shaft in the rogue may show improvement but I am very confused about the dramatic swing speed difference. This is “fake” news. I’ve been a fitter for several years and can honestly say I’ve never in the thousands of fittings I’ve done seen a 30 yard difference between any 2 clubs with such similar specs. 9 mph on club speed is also way off base. The only time I have seen that big of a difference is because of the shaft. I can’t image much more than 5-10 yards because of the head. Use the exact same shaft in 3 different heads, accuracy is the biggest difference you will see. Because one head “fits” your swing a bit better than the rest. Love this bit guys. A whole lot of information packed into four minutes, not just verbal but seeing the actual results. Sam a wise person once said to me, “people get tired of reading at time, and want to watch content” this is a perfect example of what you meant. I love the fact that you stress there is no one best driver for everyone, but there is a best driver for everyone. Keep the great episodes coming. Excellent video. Question: what are the shafts in the two drivers? I’ve had the same shaft question on the Best Driver content. Are they using “stock” shafts for all of the drivers? I realize shafts are a complicating factor and probably rated separately, but still integral to the “best” driver fitting. I wonder what the results would have been if the same shaft was used in both heads.